​Pets undoubtedly brighten up your day and stand by you through all the ups and downs of life. As much as we love them, it can sometimes be extremely difficult to keep your home, particularly your expensive rugs, clean with them around. All pet owners have to deal with the menace of taking out the pet's hair from their rugs and know that a pet urinating on a rug is not uncommon. This is where we see ourselves playing a vital role by easing your burdens and keeping your precious rugs in an immaculate condition. We at Oriental Rug Pros take immense pride in our consistency, efficiency and perhaps above all our ability to deliver the best for our customers regardless of the service we're providing, including the removal of even the most stubborn pet odor from specialty rugs. 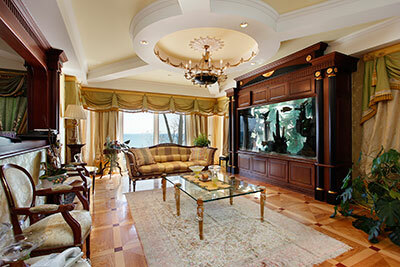 When it comes to removal of pet odor from Oriental, Turkish or antique rugs, we are both reliable and specialized. We have a highly skilled and trained labor force that is well-aware of what equipment to use and how to use it depending on the fabric of your rug – time and again, our experts have removed the most stubborn of stains left by pets. Suction machines are one effective way of removing stains and therefore stench, and we have the most state-of-the-art steam cleaning machinery available. A traditional hand wash might also clean out your rug and free it from any pet odor. While nothing really compares to a traditional cleaning down to the pores of the fabric, we can use less invasive method of odor removal in cases of delicate rugs. 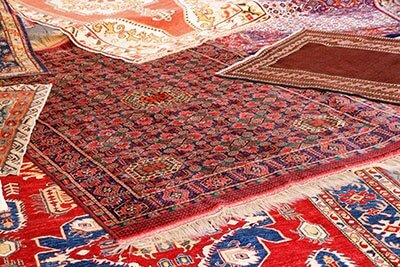 In some cases, it can be difficult if not impossible to remove the odor without also restoring the Oriental rug. In these situations our experienced work force expertly and meticulously reweaves and re-builds the affected or damaged area, allowing the rug to retain its shape and appearance while at the same time eliminating the problem of pet odor! In addition to this, to prevent the fabric from suffering any serious damage later on, we will suggest a non-slip rug underlay – this will prevent future stains or smells from reaching the very core of the fabric. Furthermore, when pets urinate on the edge of a rug, particularly an antique or Oriental one, the chances of it fraying at the edges or getting curled up are very high, which completely ruins its look. Here, our experts can re-fringe and secure the fraying corners as well as fix curled edges and corners of your rug by applying faux leather strips as an added service. There is no need to stay upset with your pets, feeling that they might have ruined a precious rug like no other – not when there's a cleaning company in your vicinity that can completely remove any residual odor and make the rug look and feel as if it was just weaved, all in the shortest possible amount of time. There are many rug cleaning companies out there, but only true professionals can fully eliminate pet odor from expensive Oriental rugs. 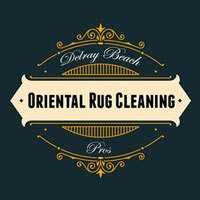 At Delray Beach Oriental Rug Cleaning Pros, we have exactly that: trained cleaners who know exactly how to rid your precious rug of all types of odor. We deal with all rug types, whether they are Oriental, Indian, tribal or any other exotic variety that requires special care. We examine the rug and assess the kind of spots and odor it harbors. We use ultraviolet light to pinpoint the exact location of the affected area causing the odor. In the absence of notable staining, we use odor neutralizers to get rid of any odor caused by pets, including but not limited to pet urine and saliva. In extreme cases where the rug padding is contaminated, we dispose of the padding using environmentally-friendly methods and add new protection, making sure that is made from quality materials. For stain cleaning purposes, we use mild or chemical-free cleaning agents to ensure that your precious rugs are not damaged in any way and are safe for children and pets. In extreme cases, we also treat the floor and use an odor eliminator on it. Lastly, we also deodorize your rug as per your wishes to ensure that it smells nice and new for a long time to come, but only after we've fully dealt with the source of odor.